Massive Open Online Course - MOOC. As the name suggests, these courses are offered through the Internet globally to anyone and everyone. Offered free or at low-cost, MOOCs do not have any enrollment criteria (except for occasional subject matter pre-requisites). To boot, the courses are from established education institutions or top-tier American universities with no restriction on the number of enrollments. MOOCs involve short-duration video lectures by the professor and are presented through sophisticated digital platforms. These lectures may be interspersed with quizzes to ensure learning is taking place. Also, there may be assignments, topics for discussion on forums, and a final exam too. Coursera, Udacity and edX offer MOOCs and these companies have forged partnerships with Universities. But MOOCs are still in the evolving stage because there are concerns that need attention: cost-effective, yet quality education; low retention/pass rates; student-professor interaction; online cheating are just some of those. For a clearer picture, icrunchdata got in touch with Steven R. Van Hook, Faculty & Advisory Board Member, UCLA Extension and President/CEO of Educare Research Inc.
1) According to ITU 2015, not even half of the world population uses the Internet (40%). In developing countries, only 34% is online, and in developed countries it is 80%. 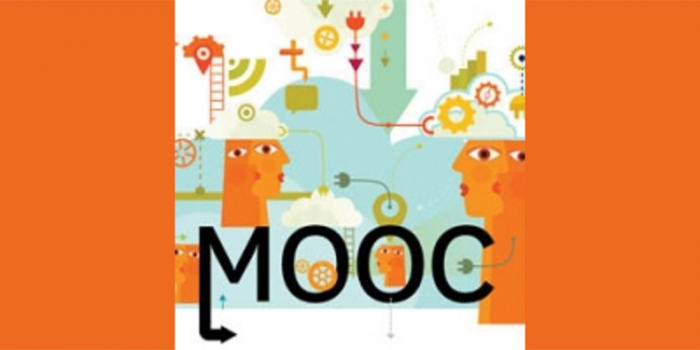 How far can MOOCs cope, at least in the near future? In the long run, internet access and hardware will be dropping considerably in cost and expanding wide in accessible high-bandwidth reach. In the short run, I’ve been designing ‘massive’ low-bandwidth courses accessible by cell phone. The World Bank estimates there are more than 6-billion mobile phones globally – five-billion of those in developing nations. 2) Do you think MOOCs can one day replace the 3 or 4 year degree courses offered in traditional university education? No – in my opinion, MOOCS will likely not be replacing traditional university education; though certain program component courses may be suitable for certificates or credit. 3) How do you gear up for large-scale remote proctoring for MOOC exams? Does UCLA Extension have any system in place? There are online services that provide relatively accessible and inexpensive proctoring and local libraries and individuals may also provide proctoring services following institutional guidelines. To my knowledge, UCLA is not using any proctoring systems. 4) Some providers of MOOC have included peer grading as part of the grading process. How reliable is this? icrunchdata also had the opportunity to speak to Vera Dolan, Faculty Member, Insurance Institute of Canada and a Ph.D. graduate in Higher Education from OISE, University of Toronto. Here are her responses to specific questions on students participating in MOOC. 1) With a MOOC, students can bypass high-standard admission criteria of reputed Universities and gain access to their courses. Would this affect student motivation to push themselves for exceptional performance? Perhaps this will happen to those who do not think they stand a chance of gaining admission to a traditional university but I do not think that MOOCs will diminish the competitive determination of traditional students. Attending a top-notch brick-and-mortar university is still "the American dream", so many will still do their very best to get there. 2) Is there a truly unique feature differentiating MOOC from other online education methods? Well, the most in-your-face feature, in my view, is the access to the myriad of opinions expressed by peers from all corners of the world and the remote, but still concrete, possibility of forming friendships and networking with learners from countries you will never have the chance to visit. 3) How do you see MOOC evolving in the long run? The idea of incorporating MOOCs into "the business of education" is emerging and MOOC providers are scratching their heads to monetize them -- if not for profit, then at least to make ends meet. Some universities are introducing tuition-based MOOC programs for those willing to pay. In addition, I see some hope for the cafeteria-style approach, in which students can take MOOCs and receive a diploma from a consortium of top-ranked universities. However, given that these are likely to be paid programs, once again the chances of finding thousands of students in one class will be extremely slim. We will once more see a tiered education system, in which only those who can pay will get the best experience. Free-for-all education is a terrific idea, but in my view virtually (pun intended!) impossible. It is evident that MOOCs will eventually have to arrive at the perfect formula to satisfy the requirements of Universities, students and the job industry. But for now, the potential of MOOCs seems hard to ignore.